Atiku Reveals - Nigeria Can Be Restructured In 6 Months. 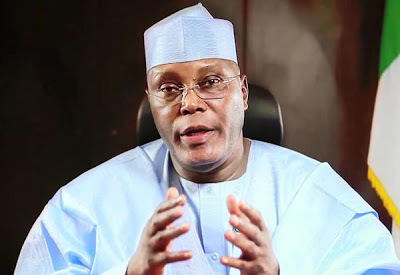 Atiku Abubakar, Nigeria’s former Vice-President has said the Federal Government does not need to amend the constitution before commencing the restructuring of the country. Abubakar, stated this while delivering a lecture on ‘Restructuring Nigeria’ at the University of Nigeria, Nsukka, on Wednesday. He declared that Nigeria could be restructured in six months. “In the future if the Federal Government identifies the need for a new road that would serve the national interest, it can support the affected states to construct such roads, and thereafter leave the maintenance to the states, which can collect tolls from road users for the purpose.“The Federal Government does not need a constitutional amendment to start that process.